Periodically I’ll be hosting small, intimate dinners in private settings at popular New York City area restaurants featuring a notable, highly accomplished female speaker for an evening of good food, great women and fearless conversations. Don’t miss this unique and exceptional opportunity to join a group of your fearless peers in breaking bread and talking with influential women about the hot issues affecting women’s lives and careers. Space is Limited to 10 Women…So Register Now! Are you ready to join a group of like-minded women having cutting edge discussions on the most critical matters of the day? Are you tired of the issues & challenges confronting women being criticized, patronized or ignored for too long by too many? Do you want a safe environment where you can engage in candid conversations about women’s concerns? Are you tired of not having your voice heard or your ideas seriously considered? Do you care about things like the gender wage gap, workplace diversity & inclusion, female mentorship, sexual harassment and much more? Are you yearning to take a seat at the table and raise your voice to have an impact and make a difference? Are you ready to shift the paradigm on female empowerment in the workplace, politics and society? Are you eager to be your authentic female self and have you and all women recognized as insightful, influential leaders? Is it your time to engage, step up, create change and move forward? Only 10 Invitees per Dinner! Featuring Special Guests from the Cayman Islands Government: Andre Ebanks, Deputy Chief Officer and Karlene Bramwell, Policy Officer Gender and Labour. Over the years, there have been so many studies regarding the benefits of women in leadership positions but what has really changed? In NYS, many women and family friendly laws have been passed including the latest sexual harassment law and the paid family leave law that were fully implemented in 2018. What affects are they having on women and their careers? Are people fed up with the #Metoo movement and has it hurt gender equality? With the daily challenges women face, what can a busy woman do to increase gender equality? How are the Millennials talking about these issues? What lessons can we learn from each other ? These are just a few of the questions we will discuss. Join me, and my special guests Andre Ebanks and Karlene Bramwell, at Fearless Conversations Over Dinner™ on November 15th for an enlightening conversation about the realities of gender equality here and in the Cayman Islands. André Ebanks is the Deputy Chief Officer in the Cayman Islands Ministry of Community Affairs, which is principally responsible for the Department of Children and Family Services, the Needs Assessment Unit and the Gender Affairs Unit. 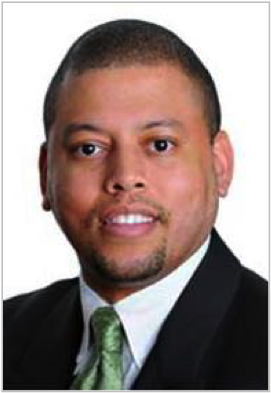 Prior to joining the Civil Service, Mr Ebanks was an associate and member of the Investment Funds Practice Group of Walkers (Cayman), where he specialised in investment fund formation, restructurings, and liquidations, as well as general corporate and regulatory matters. Mr Ebanks’s academic and professional background is in sociology and law. He has degrees from the University of Liverpool, via the Cayman Islands Law School; and Morgan State University in the US. Among his many professional and civic memberships and activities, he held previous positions as an ordinary and council member of the Caymanian Bar Association, a past member of the Cayman Islands Law Society, and a member of the Honourable Middle Temple in England. Mr Ebanks also has served on various statutory boards and organisations in the community, including Cayman Airways and the Gender Equality Tribunal. Karlene Bramwell is the Policy Officer -Gender Affairs in the Cayman Islands Government, she also holds the post of Secretary to the Gender Equality Tribunal. She is responsible for promoting gender mainstreaming across the public sector; developing and implementing national policy; and facilitating public education, awareness and training on issues of gender equality. Karlene holds degrees in Psychology, Counselling and Human Resource Management. Karlene is passionate about assisting in the empowerment of people, as well as advocating for positive social change. 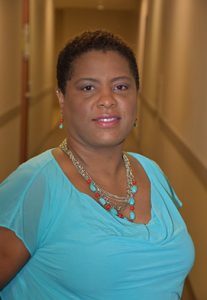 She has approximately 20 years of experience in the field of human services, having worked in a range of settings including welfare and child protection services, probation & parole services, victim of crime services, domestic violence intervention, prison rehabilitation services, disaster management and most recently in the area of gender affairs. It’s a “fearless women’s night out” that can help change the world and your life. What can one person do to effect positive change? Find out at Fearless Conversations Over Dinner™! Yes! Reserve My Seat At The Table! No refunds…but if you can’t make it, feel free to send someone in your place! Be sure to visit Fearless Talent Development again to register for future dinners or sign up here to receive our Fearless Conversations Over Dinner™ emails with advance notification of speakers and topics.